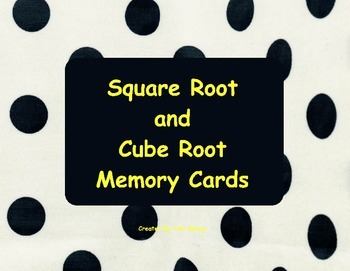 Students will memorize square and cube roots by playing this fun memory game. 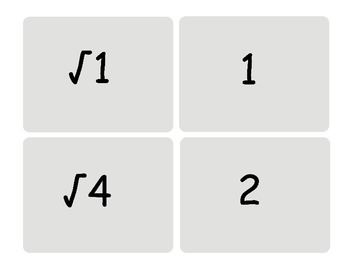 Game includes cards for perfect squares 1-15 and perfect cubes 1-10. 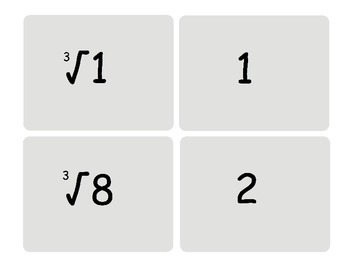 Teach perfect squares and use the first set of cards, then perfect cubes and use the second set of cards. As a unit review, combine all cards for a jumbo game of memory!